Really like this soap dispenser. It was easy to install and the pump works well. Appreciate that the refill bottle is fairly large so that it less refills are needed. 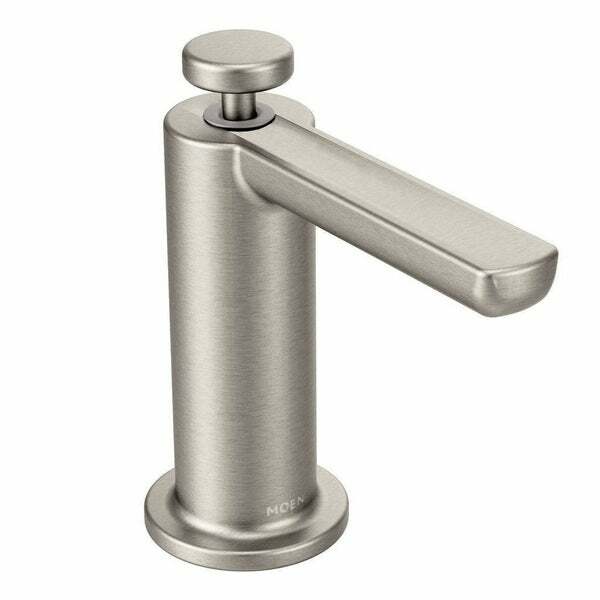 With a durable construction and stylish spot resist stainless finish this modern kitchen soap dispenser from Moen makes a fashionable addition to your home that will last. Happy with my purchase! 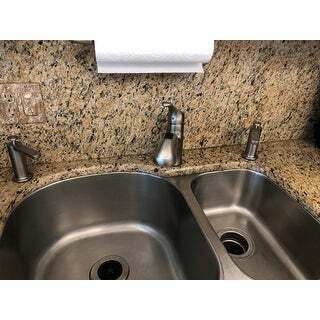 Looks very nice and goes with the sink that I purchased. Looks classy and really is spot resistant which I wasn't expecting. Great addition! Excellent quality. I was skeptical on paying over *** for a soap dispenser, but this Moen model is built well. It feels like it costs over a 10***. I actually purchased two of them. I would recommend it to others. This soap dispensor is great. It matches my coordinating faucet perfectly. Goes great with my sleek kitchen renovation. Love not having to have a separate soap dispensor cluttering my counter. I love the quality and the look of this dispenser, but the button to dispense the soap is very stiff and has very short pumps. It takes effort to get the soap so I would not order this again. Nice looking soap dispenser. Very sturdy. Only draw back is that I wish it dispensed more soap with one push. For a large sink it takes forever to get enough soap. Not only does this soap dispenser look great, its operation is real smooth. Very substantial . Works really well with my kitchen decor. Every Moen product is a winner. Tough, sturdy, dependable... and really looks good with matching S7597SRS faucet. Robust. Well made. Works well, looks great.